for $650,000. The lot size is 1.25. Residential Development Enclave located in The Redland. 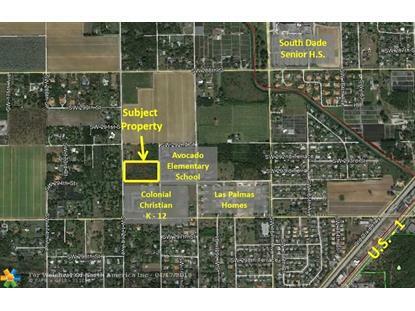 Situated immediately next to 2 schools (MD County Avocado Elementary to the east and Colonial Christian K-12 to the south) the site is currently entitled for the development of 4 single family homes on 1.135 acre lots. 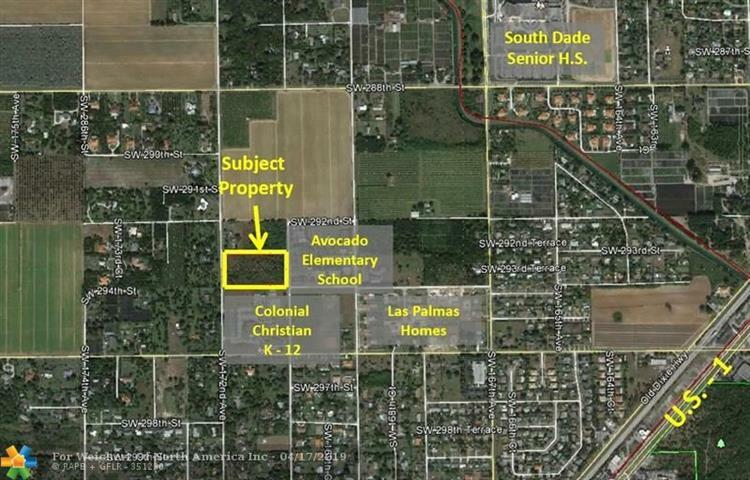 It is anticipated that additional density of up to 2 more homes can be achieved via utilization of the Miami-Dade County Several Use Rights program, an administrative County process which does not require any public hearings for approval.This property is owned by a member of the listing agent's family (who is also a Florida Licensed Real Estate Broker-Associate). Ambrose Commercial Realty Group Inc.